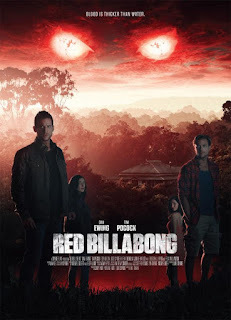 Sparke Films has released a new trailer and stills for Luke Sparke's debut creature feature, 'RED BILLABONG'. After a decade working on film sets around the world, Luke Sparke steps into the director's chair with the most ambitious Australian action film of the year. 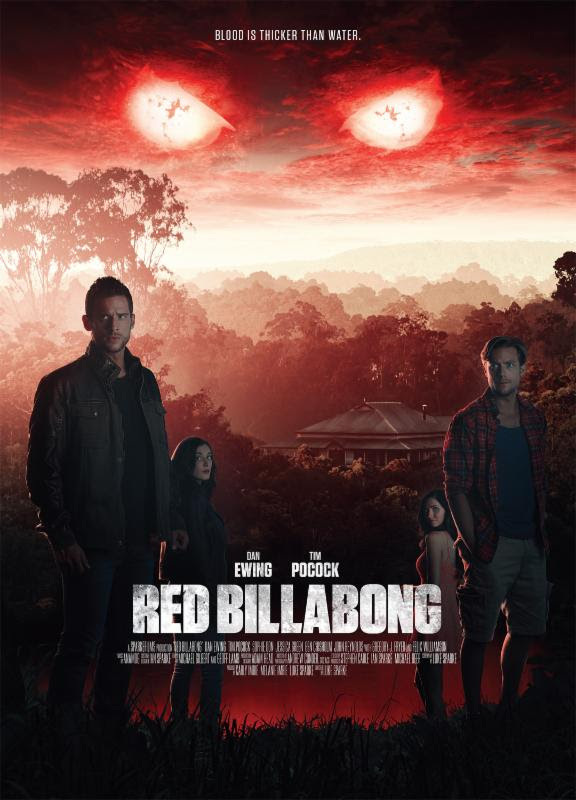 Combining a legendary monster of the Outback with the intricate web of a family secret, 'RED BILLABONG' will debut in Australian cinemas this July from Sparke, Pinnacle Films and Darclight Films. Nick Marshal and his estranged brother Tristan are drawn into a world of secrets and lies when their grandfather's enormous outback property passes into their hands. Old wounds are reopened as friends arrive to visit and strange things begin to occur around the river's billabong water hole. After visits from an old aboriginal family friend and an unscrupulous property developer, the brothers wonder just who is on their side. Night falls, tensions rise, friends go missing, and past misgivings come to a head. Tristan finds himself not believing his brother who is convinced something dark is at work on the grounds. As they part ways to look for their friends and answers, revelations are unearthed that will change the course of their lives forever. Every Australian may have heard a story of a terrifying outback monster - the Bunyip - but is it just a story? Could it be real?